Nepal, as untapped it is, is the very exciting country to visit for your holidays. 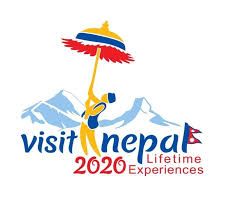 From the uninhabitable Himalayas to lust green plains Nepal offers various kind of diverse land and culture along with such geographic and ecological diversity. The Kathmandu-Pokhara Tour offers you to discover exciting cultural and natural places of Nepal that give you a glimpse of this diverse country. Starting the tour with a visit to a holy land for tourists visiting Nepal! The tour starts with walking around Thamel, a holy land for tourists visiting Nepal from around the world. Located within the heart of Kathmandu, this place is a fascinating spot full of souvenirs shops, restaurants, hotels, bars and cafes. Next day, we will guide you for sightseeing of four outstanding heritages inside Kathmandu valley. Firstly, you will visit Swayambhunath, an impressive Buddhist temple located on the western hilltop of Kathmandu valley. From the hill-top, you will see an astonishing view of the ever-growing city of Kathmandu which you’ll see creeping up the hills around the valley. This temple also is infamous in the name of “monkey temple” as monkeys can be roaming around the temple. But, since these monkeys have already grown friendly to the visitors to the temple there is nothing to worry about. 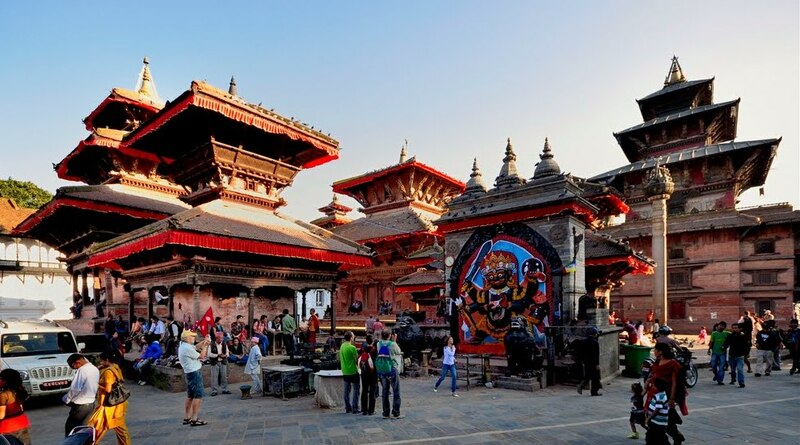 Afterward, you’ll get to visit Kathmandu Durbar Square, a plaza of Royal Palace of former Kingdom and former residence of Nepalese Royalties before they shifted to Narayanhiti Royal Palace. The Durbar square is also the home of Nepal’s Living Goddess ‘Kumari’, statue of god Kal Bhairab, Shiva Parvati temple, and other monuments. Visiting this palace gives you the knowledge of authentic art and architecture of Nepal. Later on, we will take you for a visit to Boudhanath. The Bouddhanath is the biggest Buddhist Stupa in Nepal that is structured as an outstanding mandala shaped plinth. People who follow Tibetan Buddhism believe this is the holiest Buddhist temple outside Tibet. The neighborhood around the temple provides a home away from home to Tibetan refugees since 1950s. Next, we will guide you with a visit to Pashupatinath, one of the holiest Hindu shrines from all over the world. While visiting the last place for the second day of Kathmandu-Pokhara Tour, here, you’ll get to meet with Hindu Sages. Besides, you’ll also see the open cremation of dead bodies on the banks of the Bagmati River. These cremations done as per Hindu rituals gives you a different sensation about the momentary life. On the 3rd day of Kathmandu-Pokhara Tour, we drive to Pokhara, the second biggest city in Nepal. The city is also considered to be one of the most scenic cities in the world. This picturesque valley houses various places full of natural beauty like lakes, caves, river, gorges, Himalayan views etc. During our visit to David’s Fall (Water Fall where water vanishes within the earth’s crust), you’ll get to see one of the most iconic structures of nature’s creations whilst enjoying the peculiarity of Nepalese Sub-tropical humid climate. The visit to Mahadev Cave (an unearthly cave that houses a Shiva Lingam i.e. the symbol of reproduction according to Hindu scriptures) will provide you with an apparent understanding of human life-cycle in accordance with nature. Subsequently, you will go to the World Peace Stupa. This is the Buddha temple lies on the southern hilltop of Pokhara city. From here you can enjoy the stunning sunset view. Next day early in the morning you will be taken for a ride to Sarangkot hill to see Sunrise over the Himalayas and great views of Mount Fishtail, Annapurna, Dhaulagiri, and Lamjung on a distance. In the afternoon you’ll visit Bindavashi temple, the most sacred temple of local people and Seti River Gorge. Among the last of the events, you’ll participate in Pokhara will be to go for boating on the Fewa lake. The boating also includes a visit Barahi Temple, a temple situated on a small island in Phewa lake. Back to Kathmandu with memories of Kathmandu-Pokhara Tour! On the fifth day of Kathmandu-Pokhara Tour, we’ll drive back from Pokhara, to Kathmandu. After the completion of your journey to and from Pokhara, we invite you for a farewell dinner when you’ll be served with authentic Nepali cuisines in a typical Nepali restaurant in Kathmandu. Besides these scenic beauties you’ll get to see during these five Kathmandu-Pokhara Tour you will also experience Nepali hospitality while we introduce you to delicious Nepali cuisines, Nepali cultures, local crafts and we invite you to experience our country Nepal as we Nepalese do. Day 5: Back to Kathmandu with memories of Kathmandu-Pokhara Tour! Welcome to Kathmandu, the capital city of Nepal and the city of temples, festivals and tremendously friendly mountain people. One of our representatives will pick you up from the airport to transfer you to the hotel. In the evening a dinner is arranged at a traditional local restaurant. Today is a chance to see many of the important sites of interest and some of the seven World Heritage Sites within the valley including the most important Hindu and Buddhist temples that date back hundreds of years. Many of these sites have some of the finest woodcarving to be found anywhere in the world. In the evening you will meet your guide he will take you through tour preparation and provide you with all the information you need about the tour you are to be taken to. On the 3rd day of Kathmandu-Pokhara Tour, we drive to Pokhara, the second biggest city in Nepal. The city is also considered to be one of the most scenic cities in the world. This picturesque valley houses various places full of natural beauty like lakes, caves, river, gorges, Himalayan views etc. During our visit to David’s Fall (Water Fall where water vanishes within the earth’s crust) you’ll get to see one of the most iconic structures of nature’s creations whilst enjoying the peculiarity of Nepalese Sub-tropical humid climate. The visit to Mahadev Cave (an unearthly cave that houses a Shiva Lingam i.e. the symbol of reproduction according Hindu scriptures) will provide you with an apparent understanding of human life-cycle in accordance to the nature. Subsequently, you will go to the World Peace Stupa. This is the Buddha temple lies on the southern hilltop of Pokhara city. From here you can enjoy the stunning sunset view. Next day early in the morning you will be taken for a ride to Sarangkot hill to see Sunrise over the Himalayas and great views of Mount Fishtail, Annapurna, Dhaulagiri, and Lamjung on a distance. In the afternoon you’ll visit Bindavashi temple, the most sacred temple of local people and Seti River Gorge. Among the last of the events you’ll participate in Pokhara will be to go for boating on the Fewa lake. The boating also includes a visit Barahi Temple, a temple situated on a small island in Phewa lake. On the fifth day of Kathmandu-Pokhara Tour we’ll driv back from Pokhara, to Kathmandu. After the completion of your journey to and from Pokhara we invite you for a farewell dinner when you’ll be served with authentic Nepali cuisines in an typical Nepali restaurant in Kathmandu. After this amazing tour and the journey from Kathmandu to Pokhara and back to Kathmandu we bid you farewell on the 6th day of your tour. With lots of memories and your friendly visit to Nepal we wish you to visit Nepal again. Because, as we say, once is not enough to know the Himalayan country of Nepal and its diverse culture and topography. All government taxes and entrance fees.